The background for this page was a gelli plate image printed on an old dictionary page. To that, I added collaged images, black acrylic paint sponged through a stencil, washi tape, and pastels. 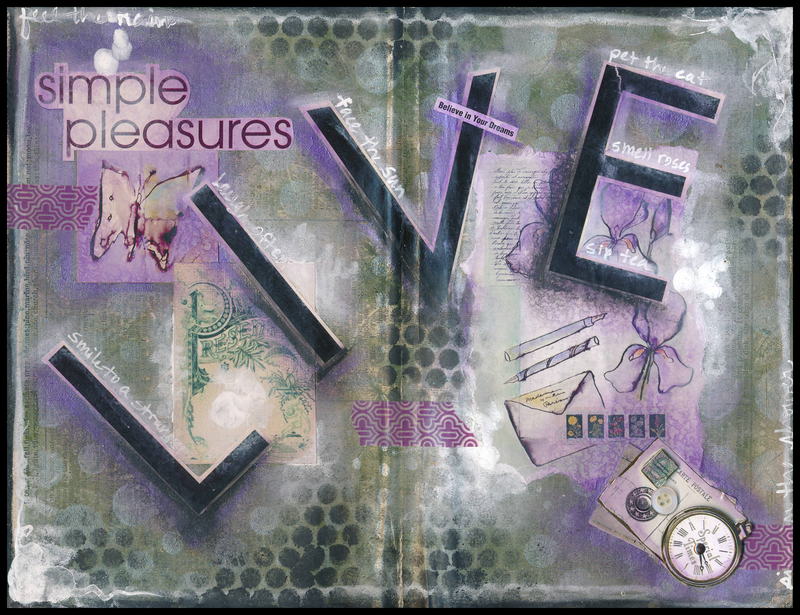 The word “LIVE” was cut form a magazine and blended into the page with purple, white, and black pastels.